BFI IMAX operated by ODEON is one of four winners of the ‘Best IMAX Booth’ award 2017, an IMAX Maximum Image Award presented at the Giant Screen Cinema Association (GSCA) 2017 Achievement Awards in Chicago. The GSCA International Conference and Trade Show is the premier gathering of educational giant screen and immersive cinema professionals and the awards recognise excellence in giant screen filmmaking, marketing and lifelong learning. Other winners in the category were the Bullock IMAX Theatre in Texas, Filmstaden in Stockholm and Hackworth IMAX Dome Theatre in California. 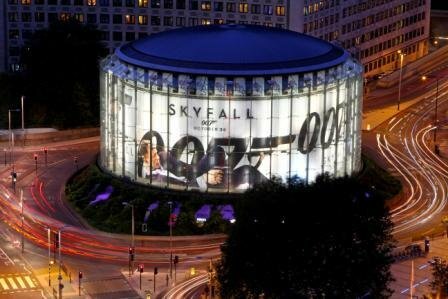 The BFI IMAX is the biggest cinema screen in the UK, offering 35mm, 70mm and digital screenings.